Using a sharp knife, cut pumpkin into slices. Scoop out seeds and extra guts, rinse slices. 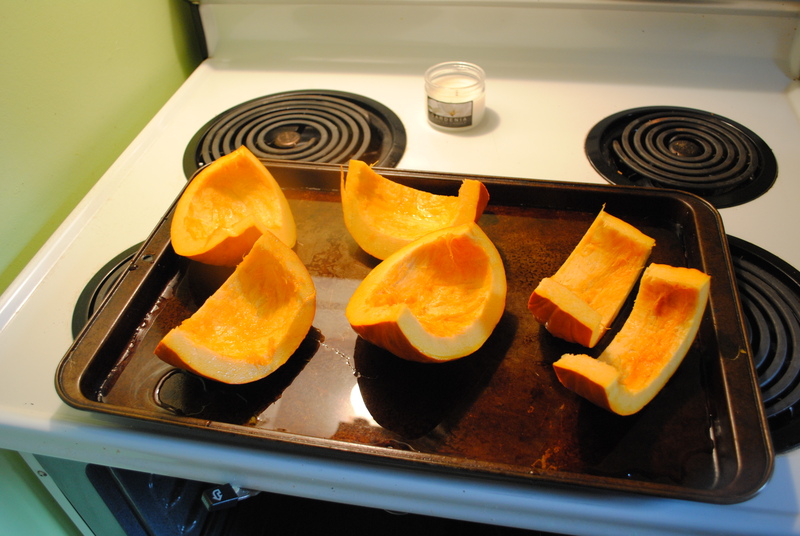 Place pumpkin slices skin side down on baking sheet, add 1/4 inch layer of water to sheet. Bake 1 hour or until pumpkin flesh is tender and easily comes apart from skin. Use to make pumpkin bread, muffins, pie, etc! *If necessary flip pumpkin slices halfway through baking so skin is up and flesh bakes on pan.